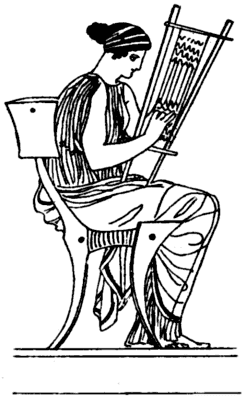 Illustration of a Greek woman with a tapestry loom. From Stackelberg’s Graeber der Hellenen. 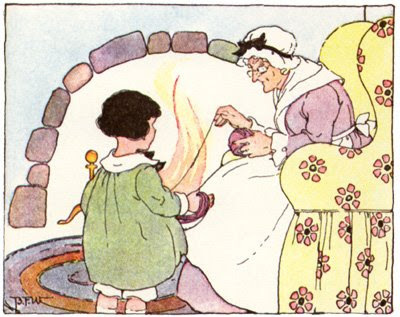 The other books were not about weaving but I cannot resist the lovely illustrations in all the wonderful old children's books. There are many more pictures of people and animal who spin than of weavers — I found several pictures of spinners on Saturday. From "Mother Hubbard her Picture Book" with the original coloured pictures, an illustrated preface & odds & end papers, never before printed. By Walter Crane.